Trehalose is a non-reducing disaccharide with beneficial physiological properties and commercial potential. Trehalose synthase (EC 5.4.99.16) catalyzes the reversible conversion between maltose and trehalose. 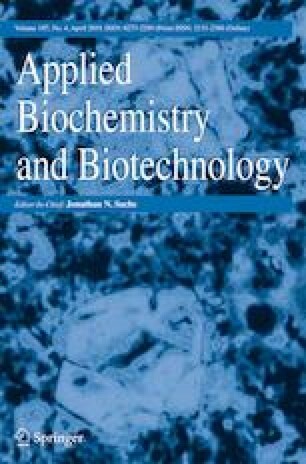 A recombinant trehalose synthase from Arthrobacter chlorophenolicus SK 33.001 (ACTS) was cloned, expressed, and characterized. The recombinant enzyme encoded a protein of 598 amino acids with a molecular mass of 66 kDa. Gel filtration showed that ACTS is a tetramer in sodium phosphate buffer. The enzyme was metal ion independent and exhibited maximal activity in sodium phosphate buffer (pH 7.5) at 30 °C. The kinetic investigations resulted in a KM value of 120.5 ± 4.5 mM for maltose and a KM value of 343.1 ± 13.8 mM for trehalose. The catalytic efficiency (Vmax/KM) for maltose and trehalose were 0.2 and 0.15 U mg−1 mM−1, respectively. In addition, a cooperative substrate binding was found displayed by the determined Hill coefficients (nH) of 2.8 for maltose and 2.1 for trehalose as a substrate, respectively. The final trehalose yield of various maltose concentrations (50–1000 mM) was constant between 58 and 59%, implying that substrate concentration had no inhibitory influence on ACTS activity. We would like to thank Beatrice Kuschel and Jacob Ewert (University of Hohenheim, Germany) for their help in analytical experiments and instructive discussions about kinetics. We also thank Wolfgang Claaßen (University of Hohenheim, Germany) for his support during the cultivation experiments.